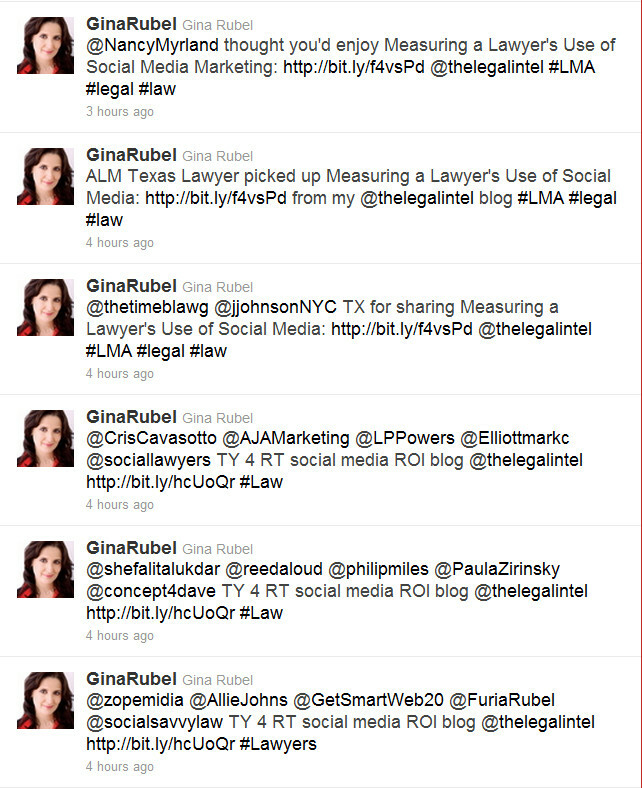 Gina F. Rubel, Esq., President/CEO of Furia Rubel, frequently writes for The Legal Intelligencer’s blog. Her most recent post, Measuring a Lawyer's Use of Social Media Marketing, was featured earlier this week. Gina shared the blog post on Twitter, Facebook and LinkedIn. She also made sure to engage readers, and those who shared her article, in conversation. As a result of the buzz around the Gina’s post, it was featured on Law.com’s Texas Lawyer and has been used as a reference by other bloggers. This is a great example of how social media and blogging work hand in hand to drive traffic and encourage the sharing of ideas. Gina regularly advises Furia Rubel clients and colleagues to only begin a blog if they feel that they can create content of value for others on a consistent basis. She has a proven track record of producing posts and conversations of value that people are following, which most likely played a key factor in the number of reposts in this instance. 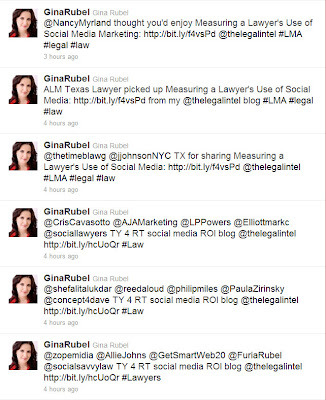 Over time and through consistent blog posts and regular sharing of posts, you and your law firm can create a social media community through Twitter, Facebook or LinkedIn similar to the thought leadership that Gina has built.